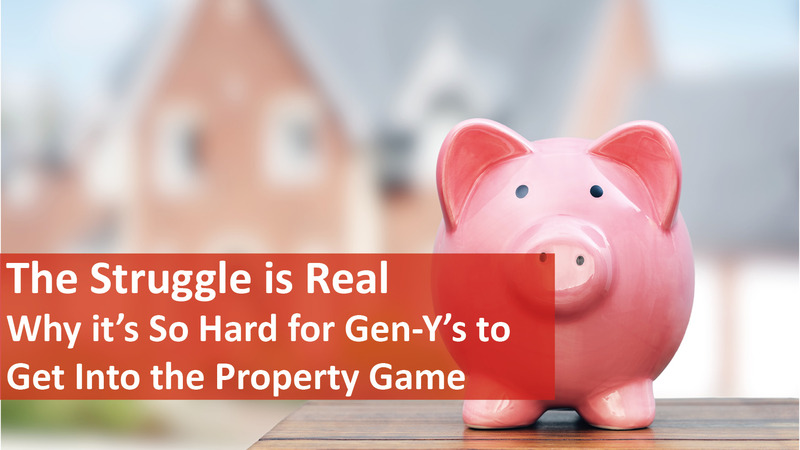 Whether it’s moving out of the family home or kick-starting a property investment career, here’s some of the obstacles that may leave Gen Y’s in the starting block. 1. Poor spending habits and poor credit – spending money that isn’t yours on stuff you don’t need. Credit card defaults can result in a black mark against your personal credit file, which may impede your ability to secure a mortgage down the track. 2. Lack of life experience – every young person thinks they know it all, but the fact is, experience only comes with years. 3. Lack of investment peers – it can be difficult to take the leap into property if none of your peers are supportive. 4. Unrealistic expectations – expecting your first house to be like your parents will only lead to disappointment. 5. The affordability issue – the fact is, the affordability barrier is very real, however this just means a compromise will need to happen, whether that be location or type of dwelling. How to tackle these obstacles? 1. Work out if property as an asset meets your expectations – If you’re after a “get rich quick” scheme, real estate may not be the best path to take. Real estate is a long-term investment, so adjust your expectations to match. 2. Set a realistic budget and stick to it – remember, if this is your first home, it’s unlikely to your last so be realistic with your expectations. 3. Seek out a mentor – pick the brains of someone who’s achieved the type of success you aspire to in real estate and learn from the mistakes of others. Try to avoid the advice from well-meaning relatives and “armchair” real estate experts. Also take into account that a lot of people may look like successful real estate investors, but many are up to their eyeballs in debt, practically on the verge of bankruptcy. Find someone who is honest about the ups and downs of property investment – a quiet achiever may be your best mentor! 4. Save, save, save! – building a deposit will ensure good saving habits and put you in a better position for obtaining a mortgage when you’re ready to take the plunge. 5. Keep your credit history squeaky clean – you can check your credit score for free here. Need a hand getting onto the property ladder? Take the first step and contact Naked Real Estate today.